Those numbers were up from the second quarter of 2013, when Apple tallied $43.6 billion in revenue and $9.5 billion in net profit. 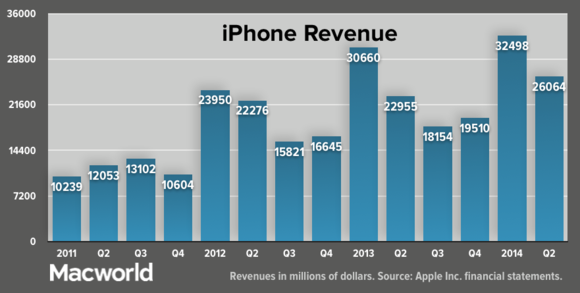 While Apple showed year-over-year growth, its numbers were down from the fiscal first quarter of 2014. Of course, that sequential comparison should take into account that Apple’s first quarter includes the lucrative holiday shopping season. 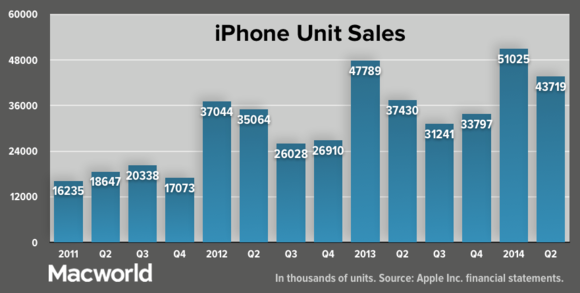 iPhone sales were up 17 percent compared to the second quarter last year (43.7 million phones sold versus 37.4 million the year before). Revenues from the smartphones were up, too, from $22.95 billion to $26.06 billion, an increase of 13 percent. The iPhone now accounts for fully 57 percent of Apple’s overall revenues (up from 53 percent last year). In his comments, Apple CEO Tim Cook said demand for each of the three current iPhone models (the iPhone 5s, iPhone 5c, and iPhone 4s) has been stronger than predecessor (a pointed rebuke, perhaps, to those who have proclaimed the 5c to be a failure). He also pointed out that phone sales were particularly robust in Asian markets, particularly Japan and China (where the addition of China Mobile as a carrier and iPhone 4s pricing led to an all-time sales record). By contrast, iPad sales were down relative to last year: Apple sold 16.35 million of the tablets this past quarter, compared to 19.48 million in the second quarter of 2013. 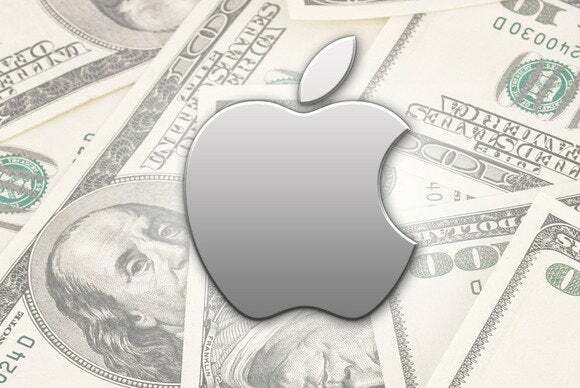 Revenues from the iPad fell as well, from $8.7 billion to $7.6 billion. The iPad had a smaller impact on Apple’s revenues, too, accounting for 17 percent of sales, compared to 20 percent last year. Cook cited one reason for the decline: He said that last year the company started the second quarter with a backlog of iPad mini orders; fulfilling those goosed the quarter's sales. This year, he said, the company has been able to keep supply and demand in better balance. 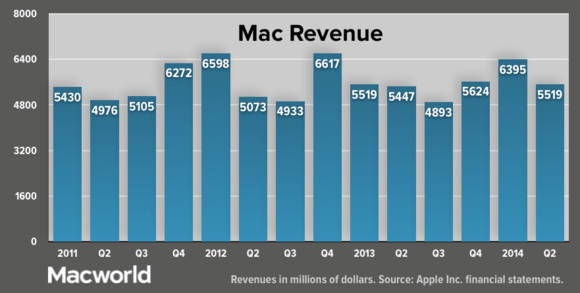 Mac sales grew modestly, from 3.95 million units in the second quarter last year to 4.14 million now. Revenues from the computers were $5.52 billion, up from $5.45 billion. That now represents just 12 percent of Apple’s overall sales. Cook touted the fact that the Mac continues to gain market share even as the PC market overall contracts. He also called out the decision to make OS X free, which he says has resulted in the largest-ever percentage of the Mac installed base running the current version of the operating system. We’ll have more details as they become available. In the meantime, be sure to check out our live-blog of the earnings call with analysts.